If ya'll peeped the newest ep of my podcast The Corner Radio then ya'll know we were chopping it up about the top 5 DOPEST albums representing Philly, Jersey and Brooklyn. 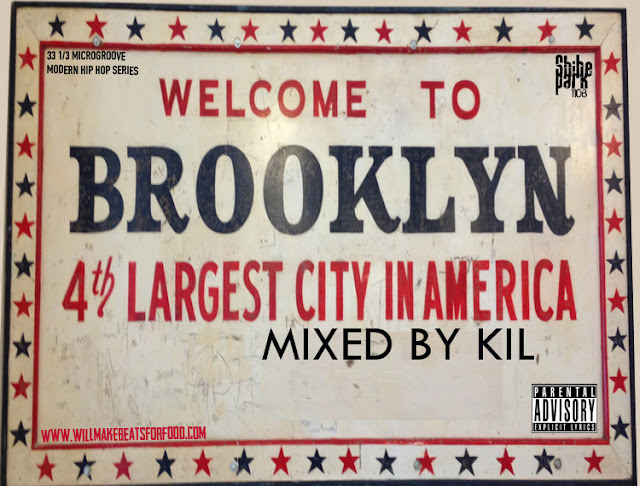 And since I've already got my Chicken Cheesesteak mixtape (with old school Philly bangers on tap) along with my The Main Line Mixtape (with new school Philly bangers on tap) it's only right that I'd drop a mixtape reppin' my favorite borough the county of kings, Brooklyn, NYC! And if one of your fave BK bangers didn't make the cut, don't trip...this is only volume 1! Also, for all of my New Jeru folk, don't feel left out cause my Garden State mixtape will be on tap next week!